In today’s technology-driven age when the fierce competition has started taking its toll, you and your employees need to remain accessible and customer-focused all the time. Whatever business model you follow, your customers expect a higher level of care and personalized experience from your firm. The importance of satisfying their expectations becomes more critical than ever as it directly relates to the customer retention and success of your business. But then, with a traditional phone system, you may not cope with the changing communication requirements that are largely driven by emails and social media platforms, while offering a real-time support to your customers. It is easy to find different means of communication utilized by the companies for connecting with the customer. Apart from using the mighty social media platforms, many companies have introduced sophisticated ticketing systems for offering effective and responsive services to their customers. But, the customer requires even quicker response time from the companies that they get through social media and emails while showing a slight inclination toward an age-old telecommunication method. However, SMEs along with the large enterprises find a phone option a bit cumbersome and expensive. Most of the companies are of the belief that although a phone service is highly personal, swift, pleasant, and competent, it cannot offer a cost-effective and risk-free method at the same time. 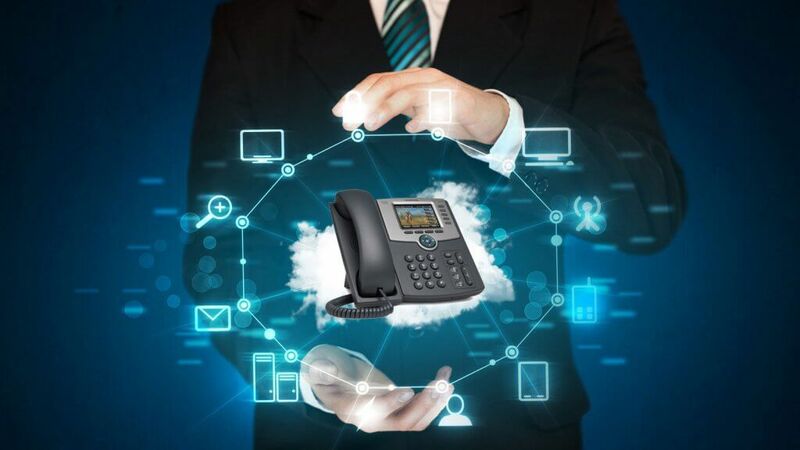 In such a scenario, VoIP (Voice over Internet Protocol) technology lends a helping hand for enhancing business communication and enables you to fulfill your customers’ expectations. Its advanced call management features revolutionize the way you provide the communication experience through the phone. Another good thing is even SMBs (Small and Medium-sized Businesses) can also leverage the benefits of this technology. Anywhere access: Customers can access your sales staff anywhere immediately, as the staff receives the direct incoming calls on their mobile phones. VoIP-based communication enables your company to offer a real-time communication. Improved professionalism: With VoIP, outbound calls keep on showing the main company number even if your employees have called from their smartphones. It makes your customers considering that your company is a highly professional organization. Enhanced customer focus: It is easy to integrate customer service-oriented tools like Outlook and CRM (Customer Relationship Management) with the business communication system for tracking the conversation history. It further translates into more relevant and effective communication with your customers. IVR advantage: Interactive Voice Response (IVR) remains handy with a VoIP system in place. You can offer a personalized experience to the customers by greeting them with the help of a pre-recorded messages. It is easy for the callers to choose options from a given list and then talk to the representative without waiting for a long time or proceed through an operator. IVR reduces waiting time and overhead costs. Increased convenience: The VoIP technology offers a range of features apart from IVR to enhance the customer experience. For example, the ‘Find Me/Follow Me’ feature makes an incoming call ring on multiple phones at once, so if one representative is unavailable, the customer’s call is attended by another representative. What’s more, this feature can be set for different extensions after a few rings, until someone picks up or the call goes to voicemail. The ‘Call forwarding’ feature enables employees to connect their home phones and cell phones, so they can get a missed call from their office phone transferred to the other connected phone. In a way, thriving VoIP technology can establish unified communication at your workplace that brings all the modes of business communication together for improving customer services. For example, an integrated VoIP system can enable you to consolidate the customer’s data and facilitates access to that data while working through an existing CRM and associated software. You can offer a personalized service to the customer and gain their happiness as well as word-to-mouth publicity. With VoIP technology, you will realize that improving customer experience is not rocket science. Even if your organization is lacking dedicated phone operators, you can give a pleasant and personalized experience to your customers, thanks to the VoIP concept. Do you like to avail the advantages of VoIP technology for your business? Time is just right to improve the customer services by switching to VoIP.